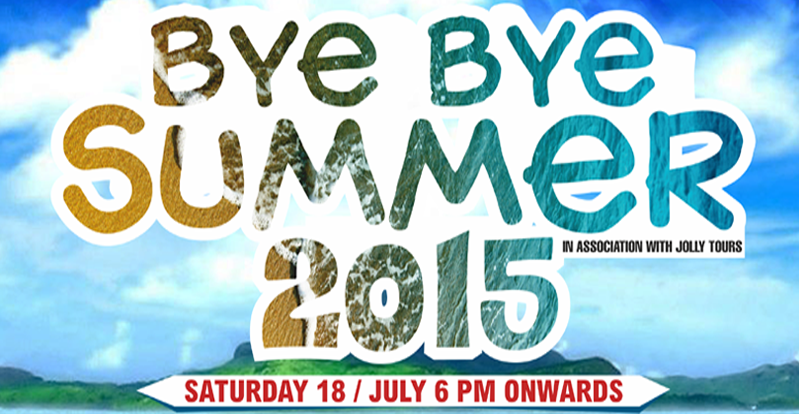 The Global Voyage, a decade old event management firm in the city has known for the successful event editions like white sensation, East coast musiq Festival, Lets Dance etc.. has come up with new line of event season known as Bye Bye Summer to give a great farewell to the summer. TGV has organized more than 100 events in the past 10 years across Pondicherry and in other south cities like Cochin, Hyderabad and Chennai. TGV is also serving as an official event manager for few of the top hospitality brands in the city. Bye Bye Summer 2015, a concept open air event planned by TGV to give the best entertainment to the visitors by the end of this hot summer season. It will be a milestone in Pondicherry's nightlife scene. There will be best drinks, mouth watering delicacies, stress busting music what else lets come and join us to jump on the deck and shake your hips until the midnight. As ever there is a best DJ Line Up there is DJ SMS from Cochin, DJ Shahi from Bangalore, DJ Dark Hunter from Pondicherry, DJ FOR8LITY from Mangalore to debut at PONDICHERRY's NIGHT SCENE. Each and Every artists lined up to cheer you up has a good history in the entertainment world.